Samira–like many women living in Egypt’s underserved communities–never attended schooling above the elementary level or had any paid work experience. 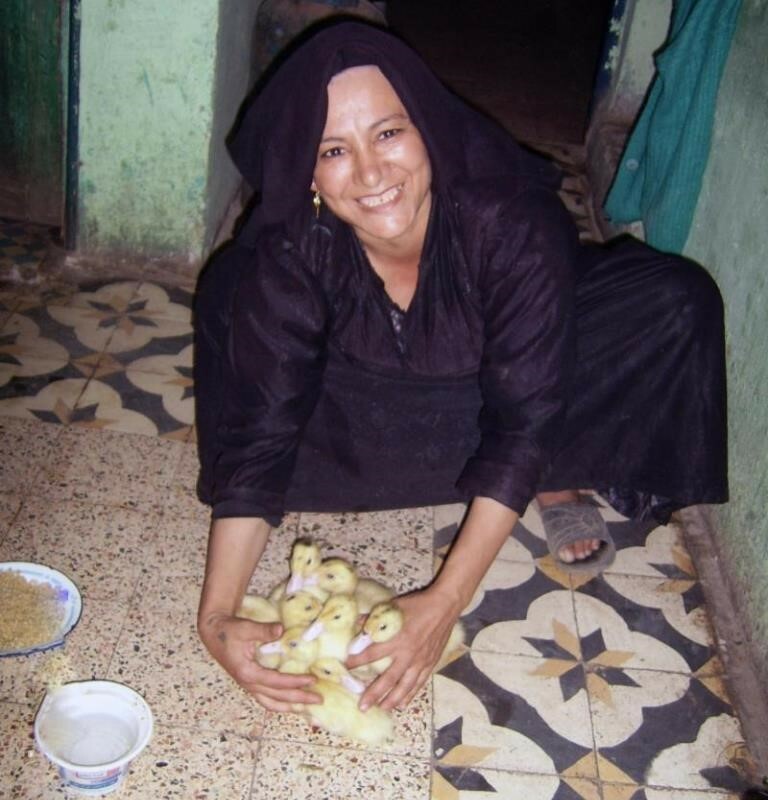 Devastated by the passing of her husband, Samira found that feeding her children was no easy task. She used small donations given to her by a local community organization, but they barely covered her family’s monthly needs. But one life-changing opportunity finally offered hope: she discovered that she could apply for a microloan through one of HANDS’ local partner organizations. With this loan, Samira strategically purchased a pregnant cow. Samira was a woman with a plan. She sold the mother cow’s calves for almost double the price of the loan she was given. With her extra earnings, she rented half an acre of land for cultivation. She wanted to live without relying on donations from her community. Although she was thankful for the support they gave her during a period of crisis, she wanted to prove to herself that she was capable of taking care of her family. Samira found an opportunity to change her life and didn’t let it slip away. HANDS is truly grateful for our many partners across the US whose generous contributions empower strong, independent women–like Samira–to take control of their lives. No Comments to "The life changing power of microloans: Samira’s Story"